In this relaxed evening workshop at the lovely Spring Grove pub in Kingston, you will be shown the classic bookbinding technique of pamphlet stitch. 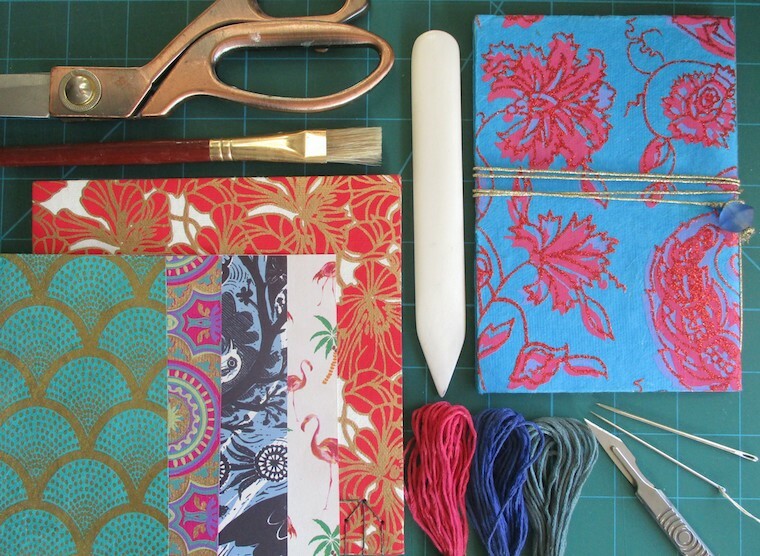 This class is a great introduction to the wonderful world of bookbinding. You will be shown step-by-step how to prepare pages and make soft covers, allowing you to create your own bespoke notebooks with beautiful decorative papers and exposed stitch detail. Taught by multi-award winning professional bookbinder Mylyn McColl in a small group, you will be given lots of individual attention and support, making sure that you go home proud of your beautiful unique creation. All materials and use of tools are included, together with tea, coffee or wine and lots of home made cake.